Sometimes, you don't want the whole costume. We understand that. That's why the Tutu Skirt Adult Wonder Woman is here to provide you with a cute look that you will love. 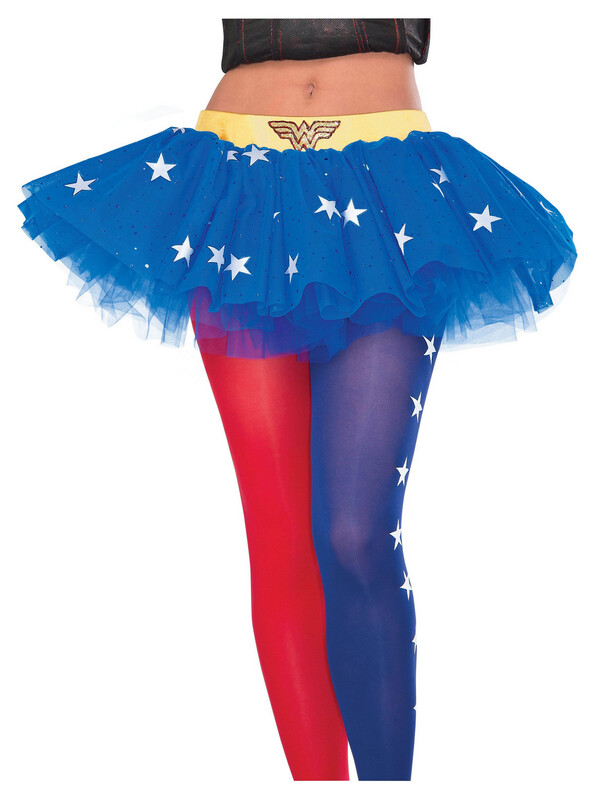 Show your adoration for your favorite hero and leave the cape at home with a colorful tutu sure to turn heads.